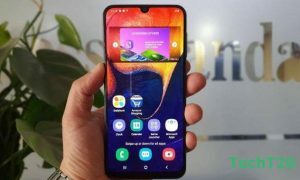 Samsung Bangladesh released it another new mid-range budget phone Samsung Galaxy A30. It is another new addition Galaxy A series smartphone. The good things of Samsung Galaxy A30 are big size battery life, fast charging feature, and display. Samsung Galaxy A30 is almost the same as Samsung Galaxy A50. It also has 6.4 inches 1080 pixels by 2340 pixels resolutions Super AMOLED display. And protecting the display it uses Corning Gorilla Glass 3 protection. Its screen to body ratio is 84.9%. Samsung Galaxy A30 is fully loaded with 4000mAh Li-Polymer battery backup. Which will provide you full day power support without any worries. A normal user can easily get two days of power backup. Under the hood, it has 3/4 GB of RAM and 32/64 GB of native storage. So there are two options and you will choose depends on your needs. If need more storage then you have options to expand storage up to 512 GB. Samsung Galaxy A30 has dual rear camera setup, 16MP primary, and 5MP ultra wide angle sensor. And 16MP selfie shooter. The device is powered by Samsung Octa 7 Exynos 7904 chipset and 1.8 GHz Cortex-A73 & 1.6 GHz Cortex-A53 processor. The device runs on Android 9.0 Pie OS and Graphics Processor Unit (GPU) is Mali-G71 MP2. Samsung Galaxy A30 price in Bangladesh will BDT 22,990 (expected). Special features of the phone are 15W fast charging, Type-C charging port, FM Radio, fingerprint sensor.